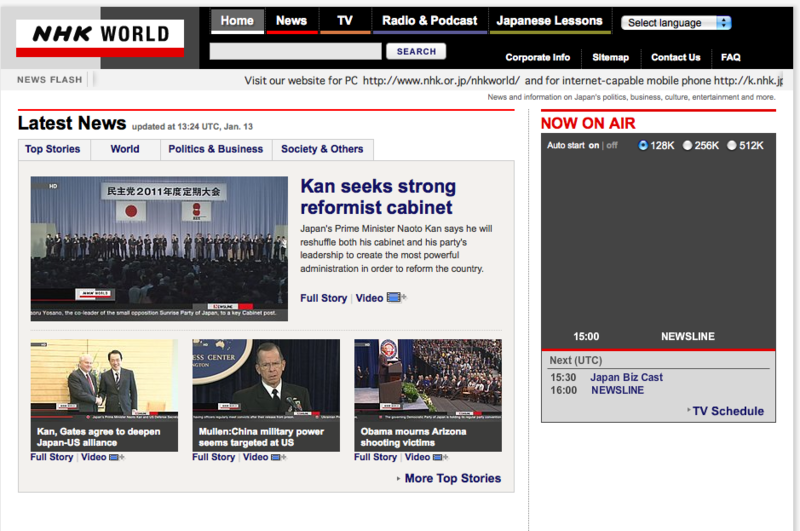 I try to watch NHK WORLD on the internet at least 30 minutes on weekdays. The reason comes in the wake of the March 11th earthquake. When the big earthquake hit Tohoku region, my wife and I were in Xiamen, China. The internet there was super slow, so I turned on the TV. CCTV China had broadcast the news in English over the quake in Japan. We watched the scene and then I was all ears for the details. But I could get only a few things. There was nothing I can do except watching the video footage which was shown. I was very irritated by the lack on my English ability. Since then, I've been watching it. Nobody knows what will happen around the corner. Before the next trip, I have to study English a lot more.